What follows is applicable to our immediate golf group. It is recommended for all golf groups. 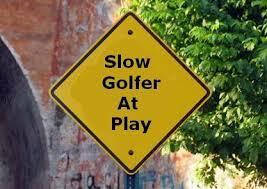 It’s a combination of policy and “The Law” of the USGA Handicap System. If you find yourself keeping score in our regular golf group, please make certain you are familiar with these guidelines and adhere to them rigorously. We putt everything out – all the way out. A ball that stops a quarter inch from the hole MUST be putted INTO the hole. Admittedly, few (with the possible exception of this writer) has more than a one-in-a-million chance of missing that putt, but it still must be putted into the hole. I’m sure most of you have read the USGA “Rules of Golf” from cover to cover countless times. Many of you can cite chapter and verse from memory. Just the other night, I woke myself up at 2:30 a.m. screaming something about Rule 28 and how my ball was unplayable. My wife mumbled something about taking a Mulligan and going back to sleep. Much of our effort to committing the rule book to memory becomes of little value on January 1st when the 2019 Rules of Golf officially go into effect. That means we’ve got to memorize a completely new book of rules (and it contains 240 pages). Egad. Although some of you have already done so, the rest of you have work to do. Get on it! There are some major changes, especially with regard to the way the native grass areas on Ambiente (soon to be called “penalty areas”) are played. Give yourself the joy of hearing it slide into the hole, of seeing it disappear, of knowing that you completed the task as nature meant it to be done. Putt the ball into the hole, not near it, not by it, not within a foot, two feet, three feet; putt the ball INTO the hole. If you take a step back and look at the game of golf, it shouldn’t come as a surprise that putting the ball INTO the hole is actually defined as the object of the game. Don’t deny yourself that pleasure. Section 1-1 of the USGA Rules of Golf: The Game of Golf consists of playing a ball with a club from the teeing ground into the hole by a stroke or successive strokes in accordance with the rules. Author h. Alton JonesPosted on July 8, 2018 December 13, 2018 Categories News, Rules, scottsdale golfTags Rules5 Comments on If It Feels Good, Do It! The previous post (Camelback Golfers – Read This or Else; December 14, 2017), has generated far more “interest” than I had anticipated. Almost every response came to me in private rather than as a comment on this blog. After reviewing the responses, I can assure you that we not only have some good golfers in the group, we’ve also got some golfers that carry a sense of humor that can be used like a scalpel to surgically extract the essence of a situation and describe it in a fashion that make my sides hurt from laughter. I can’t share all the comments because they were sent in private. However, I will give the award for best humor to Dr. John Raines. Barbara must spend half her time doubled over in laughter. Author h. Alton JonesPosted on December 14, 2017 May 27, 2018 Categories News, Rules, scottsdale golfTags Camelback Golf Club, Rules, Scottsdale golf3 Comments on Camelback Golfers – READ THIS OR ELSE!